Deans Tree Service can provide you with professional tree trimming and pruning services. If you require tree trimming services in Sarasota FL, go with the company that has been a trusted choice for over 20 years. Our tree trimming services allow us to maintain the trees on your commercial or residential property in order to promote growth, remove dead or weakened branches, and allow you have a vibrant, safe and healthy tree to add curb appeal. In the Sarasota area we can be subjected to torrential downpours one minute and sunshine the next. Our tropical climate allows for rapid growth which can lead to issues for trees. Overgrown trees often have weak branches that carry the risk of breaking off when a thunderstorm with heavy winds barrels through the city. When dead or weakened branches break, there is a very real possibility of damage to structures, powerlines and cars. Weak branches also pose a threat to you, your family and, if you are a business owner, your employees and customers. Overgrown trees may also be positioned dangerously close to powerlines which can result in a loss of power for days while a repair crew fixes the line. It is quite common for people to trim their trees, bushes and shrubs on their own. But when you have a professional tree trimmer manage your trees, you are getting someone with the knowledge and the right set of tools to properly trim the tree so that it grows strong and remains healthy. At Deans Tree Service, we have the machines to get us to the highest part of the tree and the tools to trim the largest branches so that you have the look you want as well as a safe and strong tree. With Deans Tree Service you can expect an experienced crew of tree trimmers equipped with years of expertise who are ready to tackle any job. Safety is a major priority for our company and we are fully insured to protect our workers, you and your property against any issues. We also maintain all the necessary tree trimming licenses required by the state of Florida. With safety being of great importance as well as protecting the integrity of your property, we have discovered that our work tends to continuously meet and exceed our customer’s expectations and leads to a higher level of customer satisfaction. Placing such a high emphasis on customer service and safety has led to residents in and around Sarasota FL to pick Deans Tree Service as their tree trimming and tree pruning company of choice. When choosing a tree trimmer, we understand cost is a major factor when deciding on the right company. If price seems to be the biggest selling point, ask questions to get to the root of their services and consider asking for references. We offer competitive pricing and employ hardworking and highly-skilled professionals who know how to get the job done so that your trees are healthy and that our work can complement the look and feel of your home or property. Trees have the potential to add a lot of curb appeal so choosing the right tree trimmers has more to do with just the cost. Give Deans Tree Service a call and discover why so many people in Sarasota, Florida continue to utilize our services. For a free estimate and to learn more about our tree trimming and tree pruning services, give us a call and schedule an appointment. After we assess the trees, shrubs and bushes you want trimmed we will provide you with a total estimate for the work. If you approve, our crew will arrive on the scheduled date and take care of your tree trimming needs. We will not consider our job complete until you are totally satisfied with our work. 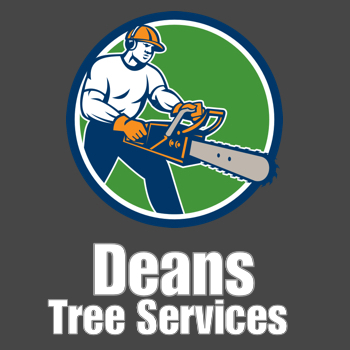 At Deans Tree Service you can rely on us every year for your annual tree trimming. Because we do not get a break from the winters, our trees grow continuously and need to be managed so that they have the opportunity to not just survive, but thrive. We are confident in our abilities and trust that you will be happy with our services year-after-year. Give us the chance to work on your trees and keep them consistently safe and beautiful all year long. You will not be disappointed. We thank you for your time and for helping us become the best tree service in Sarasota. During this time we can get extremely busy especially if a hurricane is threatening our area. Please keep this in mind when calling as we try to get to as many customers as possible. Be careful when searching for “tree removal near me”, or “tree service near me” because not all tree services are the same. The closest tree service to you may not be the best tree service in your area. We are located in Sarasota Florida and have been in business for over 20 years.